To buy or trade zines (or other creations), mail me or find them in these shops, distros, and libraries. ECHO was started by me, Nina(Zina). I use it to create and self-publish my zines, comix and pamphlets, and sometimes music, spoken word, postcards, buttons, and crafts. Among the zines I’ve made are Same Heartbeats, Flapper Gathering, Radix, Space Invasion, From Spice Girls to Riot Grrrls, and Echotopia. I’d like to encourage others to make zines too and contribute to a worldwide feminist DIY zine culture. That’s why I regularly organise zine events and teach zine workshops. I have (co)organised zine activities such as Zine Fest Gent, Zine Café (together with FEL), and 24 Hour Zine Thing (in Ghent and Brussels), or have given plenty of workshops to teach and inspire others to start making their own zines. 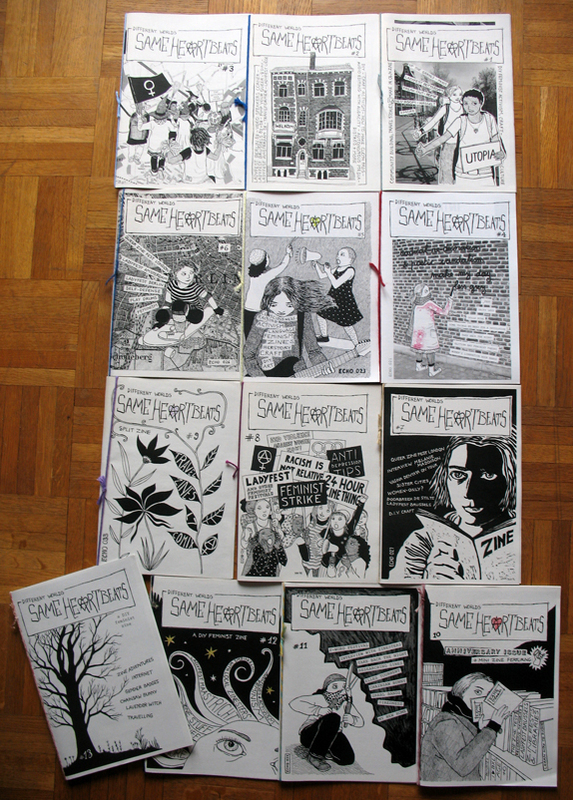 I have also founded the Feminist Zines Europe facebook group and compiled a list of (feminist) zine projects in Europe. Apart from presenting my own zines and projects, I use this blog to report on feminist zine-related news – especially from Belgium, write zine reviews, and share articles and resources about DIY feminist zine culture. It is my dream to see a feminist zine scene grow and bloom in Belgium [it’s starting!!]. 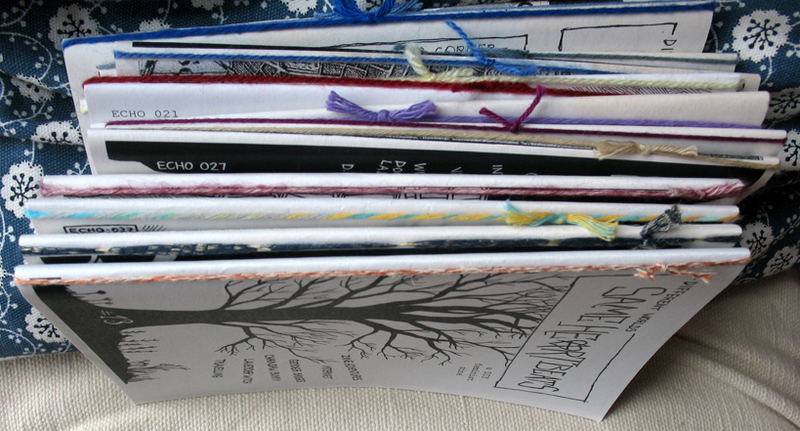 Let me know if you make feminist zines too or if you’re a zine-maker from Belgium!